Hydrates and controls sebum production. 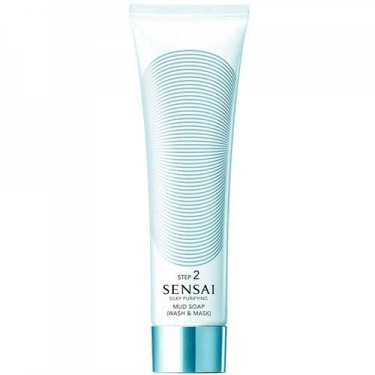 Sensai Kanebo - Mud Soap Washing Mask is a cleansing treatment ideal for combination and oily skin. Quickly transforms into a creamy lather. Apply alone in the morning or after Step 1 at night. Lather the product and gently smooth onto moistened face. Rinse well.